Spring has sprung — so as we watch buds blossoming, we’re feeling suitably positive about helping your finances flourish. This month’s headlines include exciting news on the launch of our MyChancellor client portal, further exam success for our colleagues Rebecca and Emma and successful seminars delivered by David Heaton and Ed Painter. We’re very excited to announce the imminent launch of our MyChancellor portal and this month’s main article provides a deep dig into its fantastic features which bring your personal finances to your fingertips on your PC, tablet and mobile.  MyChancellor brings you new levels of convenience and allows us to deliver even better customer service — a dynamic double-whammy. This month has seen more members of the Chancellor team enhance their professional credentials by passing exams after countless hours of dedicated study. Rebecca Gomes was first out the gate when she passed her Chartered Insurance Institute (CII) Pensions exam — she’s a valued member of our administration team and huge congratulations are in order. But we had no sooner shared news of Rebecca’s success on social media than colleague Emma Gudger casually strolled in and announced that she had just passed the CII’s R02 Investment Principles and Risk exam, so our celebratory champers order was doubled! These successes are excellent examples of Chancellor’s dedication to developing our experienced support team to reach new levels of professional proficiency. We’re happy to encourage and enable employees with financial support, regular interactive training sessions and the study time needed to pursue exam excellence. But passing these exams also requires herculean efforts from staff like Emma and Rebecca — in fact, the CII recommend that at least 50 hours’ study is needed for each exam pass. Our Chartered Financial Planner Dave Heaton was busy waxing lyrical about pensions for NatWest Bank customers at the Bolton Whites Hotel on 14th March. Delighted to be invited by NatWest to share his expertise, David was also pleased that so many delegates braved terrible weather in the day to attend at the hotel, which is part of the iconic University of Bolton Stadium. Earlier in the month, Dave and fellow adviser colleague Ed Painter also presented a technical session for twelve members of various specialist legal teams from the largest legal practice in the North West outside the major cities. Both were bowled over by the fantastic reaction, especially one feedback form which described their session as ‘engaging and interesting – especially the case studies’. Hopefully our headlines satisfy you until it’s Easter egg time, but to chat about all things financial in the meantime, contact us or call 01204 526846.